The College View is DCU’s only student newspaper and we are now accepting applications to be on the 2015/16 Editorial Team. Each position offers a host of challenges for students to tackle and each of them provide vast experience for the successful candidates. The paper is going through substantial changes that will see it future proofed and ready to engage with students. It’s a process that any aspiring journalist should be excited about and will offer an inside look into digital journalism. If you wish to apply for any of these positions, email your application along with your CV to editor@thecollegeview.com. Please include the role you are applying for in the subject of your email and outline your relevant experience and why you are suitable for the position. Deadline for the Editor-in-Chief applications is this Wednesday, April 1 at 5pm. All other applications must be in by Friday April 3rd at 5pm. You will then be contacted with a date for an interview. 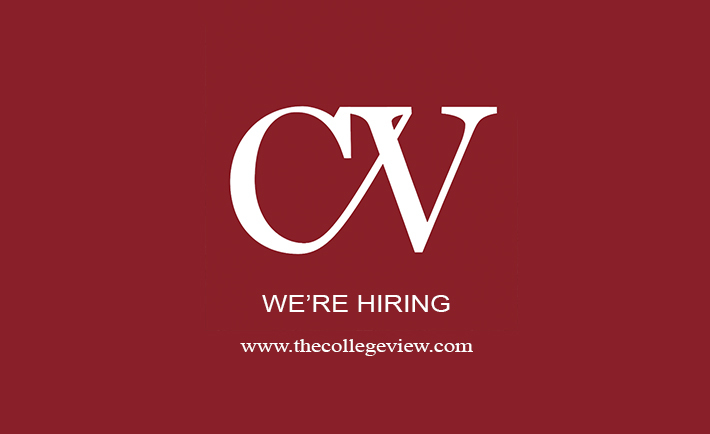 If you have any questions about the positions, you can contact Michael, who will be happy to answer them, by e-mailing editor@thecollegeview.com.